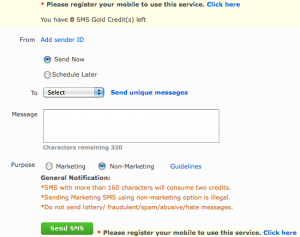 I just found a free sms service that is located in India but available for US/Canada, Australia, India, UK, Malaysia, Singapore, Indonesia and Japan – 100% Free!! Here are the features below. Share SMS Jokes, Love messages, Shayaries etc. 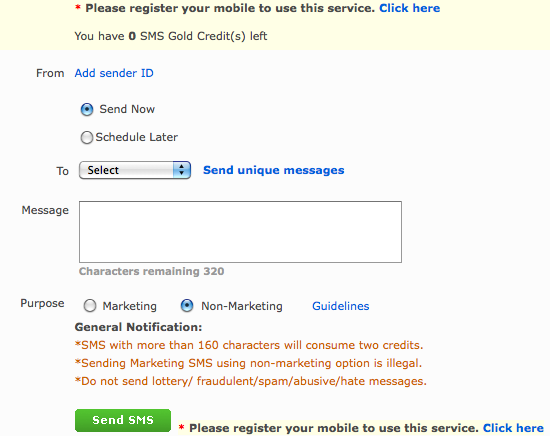 Next post: 100,000 FREE SMS Via Rebtel! !